I know this shot isn't particurlarly good technically, but for some reason I like it. I like the almost silouette nature of it - and the hints of green in the trees. 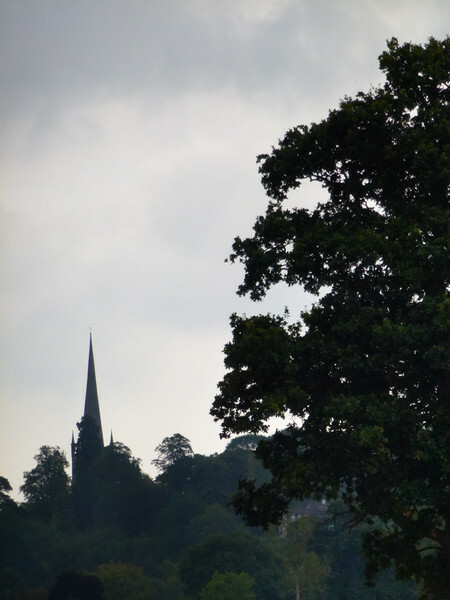 The church spire seems to balance the forground tree. What do others think?